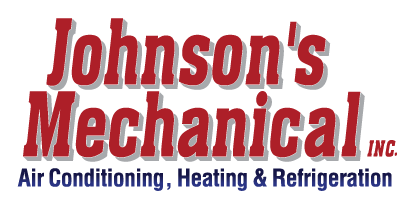 Why It’s Important to Maintain Commercial Duct Work | Johnson's Mechanical Inc. Why It’s Important to Maintain Commercial Duct Work | Johnson's Mechanical Inc.
An often overlooked part of AC systems is the duct work. While most people understand why they need to take care of the AC unit itself in order to maintain a comfortable environment in their business, fewer people are aware of the impact air ducts have. Your system of commercial duct work is what allows cool air from your AC unit to circulate to all corners of your business, and problems with your ducts can create a very unpleasant environment for both you and your customers. Our team at Johnson’s Mechanical Inc. wants to help you make your business as inviting as possible, and we’ve put together this brief guide about why it’s important to take care of your commercial duct work in order to achieve this. As mentioned, the duct work of your AC system circulates the cool air throughout the building. Keeping this network of connections is essential to keeping your business a comfortable place to work, meet, or shop. In addition to keeping you cool, maintaining your ductwork also keeps you comfortable by preventing a buildup of dust and allergens, which can cause unpleasant symptoms such as sneezing, coughing, congestion, and watery eyes. As if that weren’t enough, the buildup of excess dust and grime in your duct work can also lead to a loss in your AC’s overall efficiency and effectiveness–your unit may have to spend more energy to achieve the same temperature, or may even fail to reach the desired temperature at all. If you want to avoid these possibilities and keep your system working at peak condition, you can turn to our team at Johnson’s Mechanical Inc. for top-notch commercial duct work maintenance. If you have further questions about duct work and how to take care of it, call our team at Johnson’s Mechanical Inc., for more information.